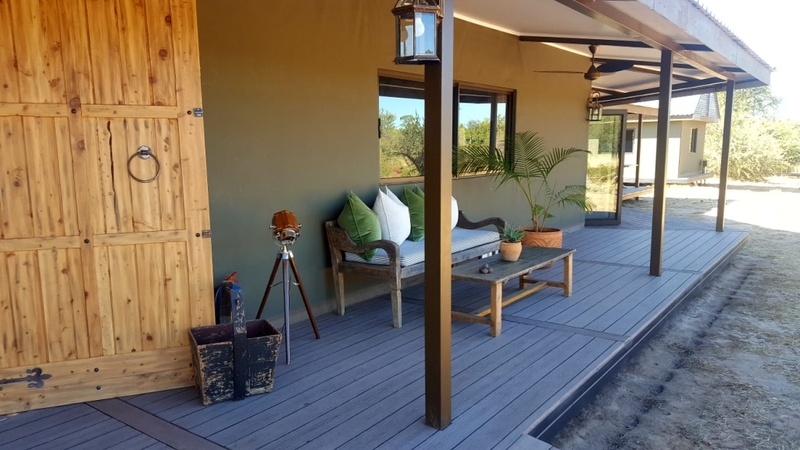 It took us about 15 minutes from Victoria Falls town to Old Drift Lodge by road, entering the Zambezi National Park through the Victoria Falls gate. 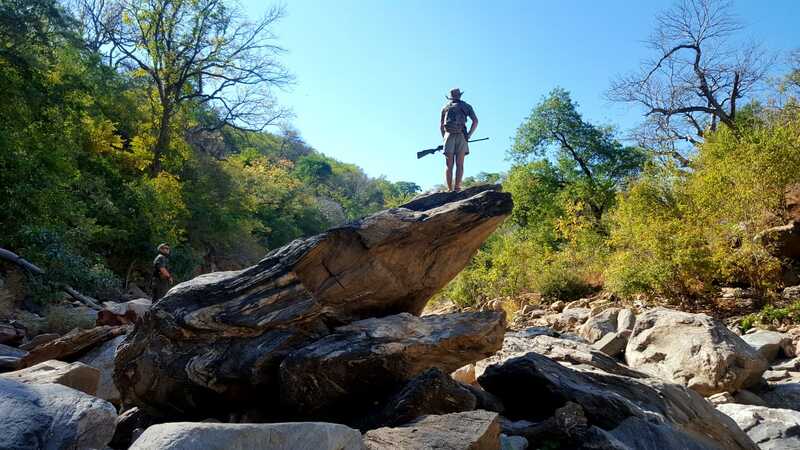 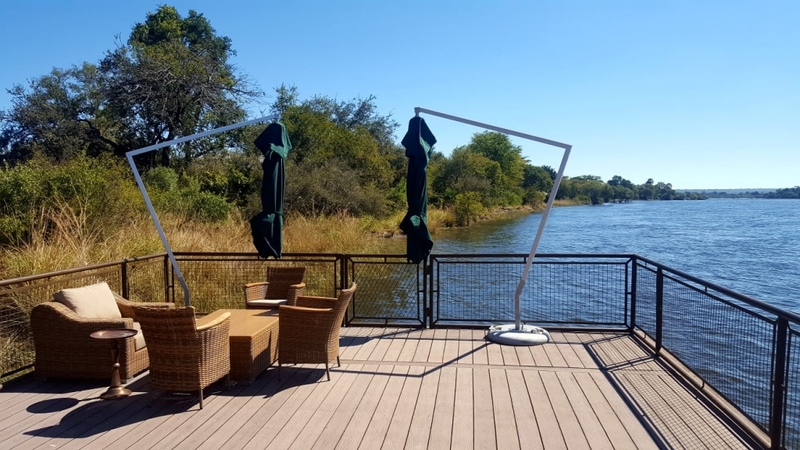 Ideally, guests take the boat from the Wild Horizons Jetty (located just before the entrance of the Zambezi National Park) to camp, which is an about 10 minutes boat ride, but we took the back road for the fun of it! 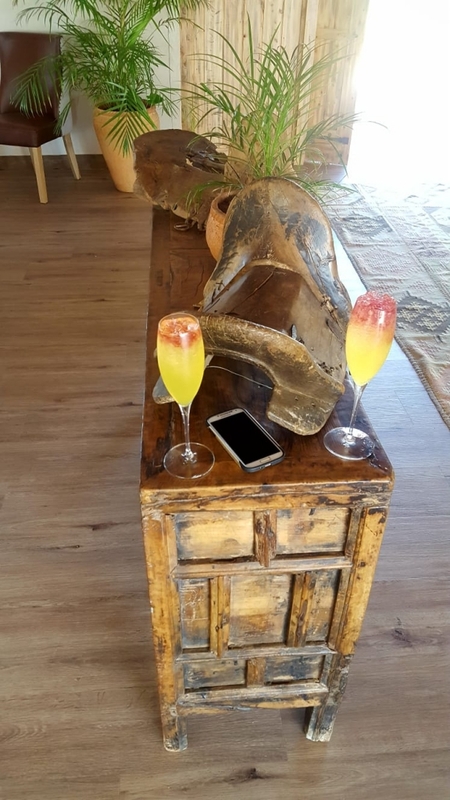 On arrival we were met by Bright, who is one of the managers at the Old Drift Lodge, and a refreshing welcome drink. 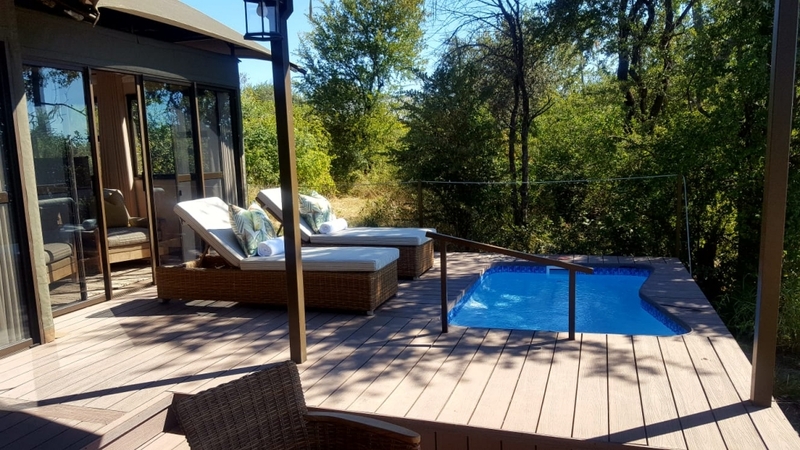 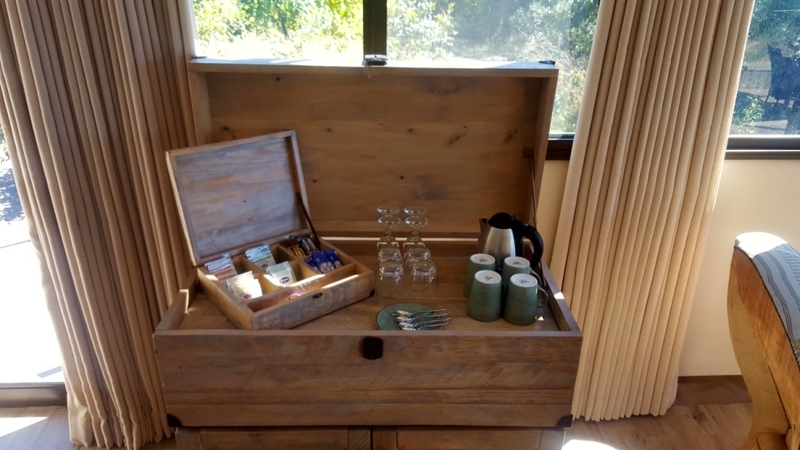 The lodge is located on a private concession inside the Zambezi National Park and has 10 tented suites (taking two guests each) and 4 family suites, taking a family of four per unit. 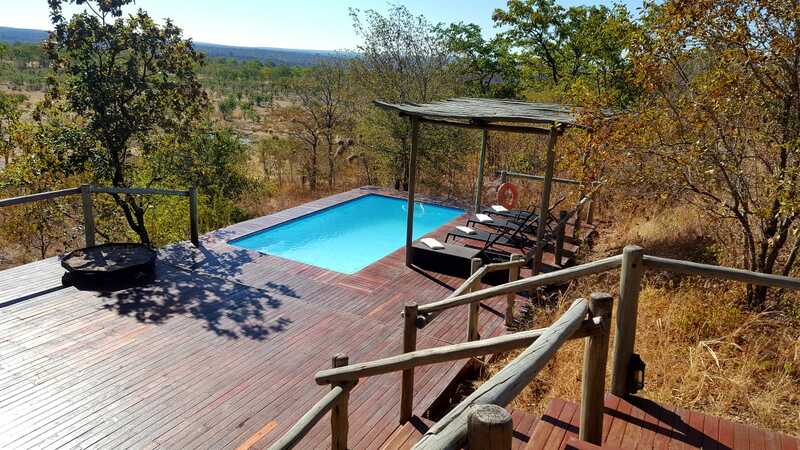 Each room has a plunge pool and a lovely private viewing deck. 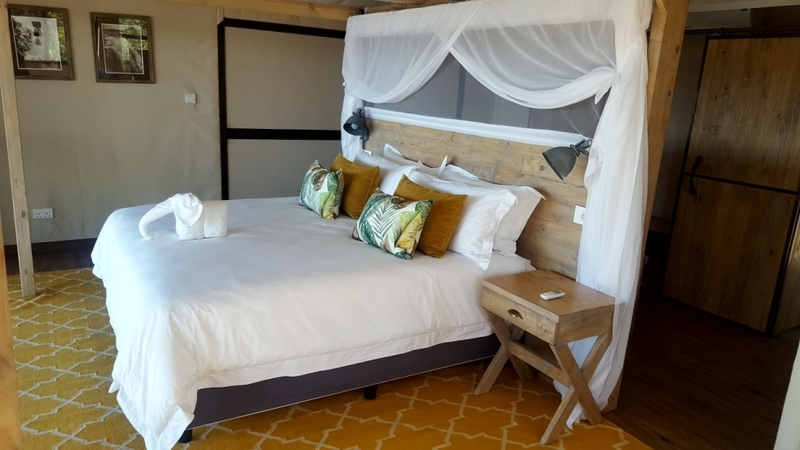 The family rooms are designed to cater for the privacy of both children and parents, as the children have their own bathroom and a door to close their room off from the rest of the suite. 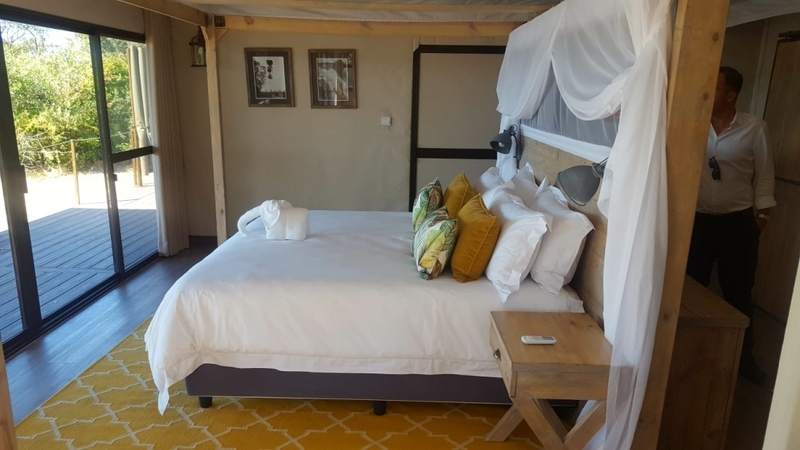 The family rooms are spacious with clothes closets, which is great for guests who love space and will stay for more nights. 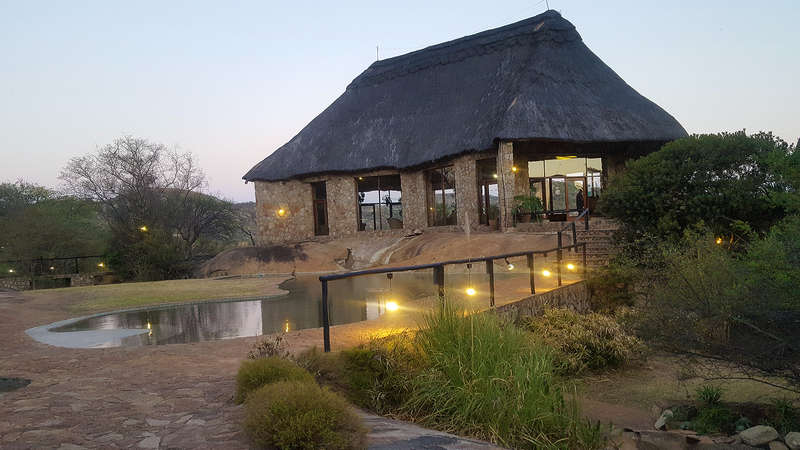 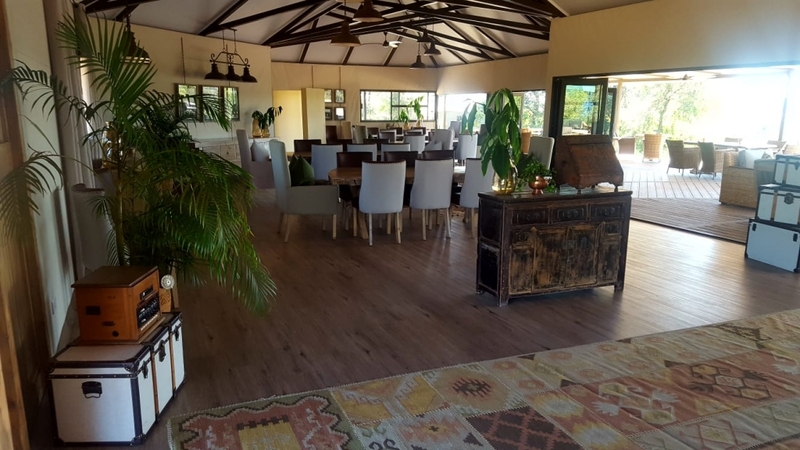 The lodge has a big main area where meals are served, and to cater for guests wanting to sit and chat about their day’s experiences. 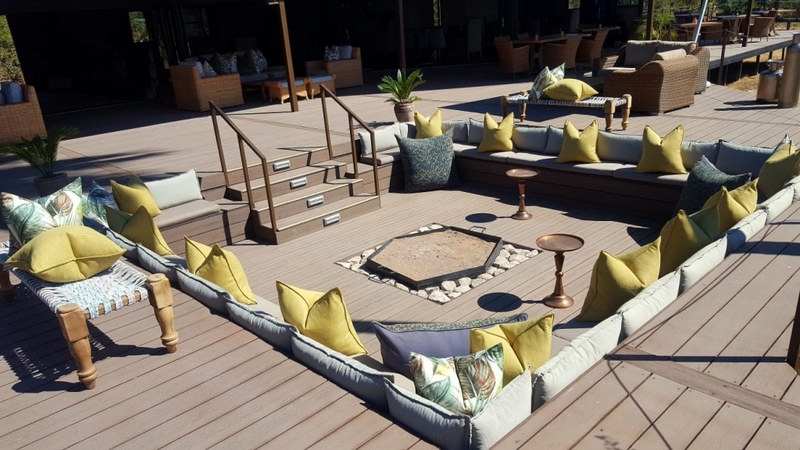 My highlights were two spaces: firstly, the fire pit with a large seating area, where guests can sit around after dinner and enjoy the surroundings under the stars. 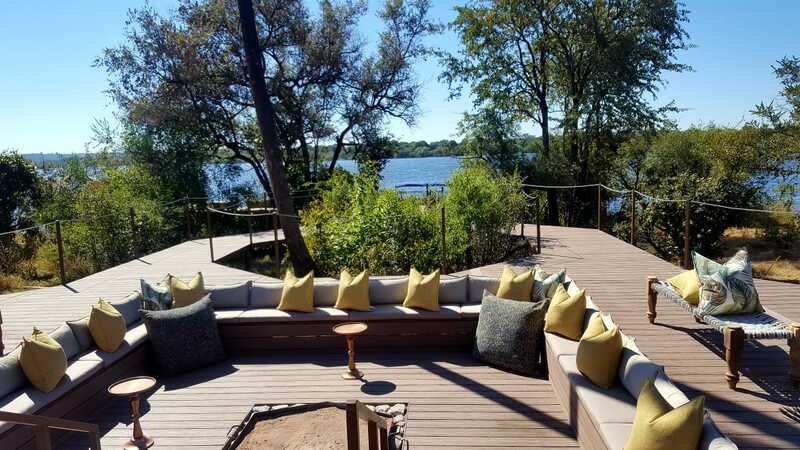 Secondly, the deck, which is by the lodge Jetty, that allows opportunities for dinner under the stars. 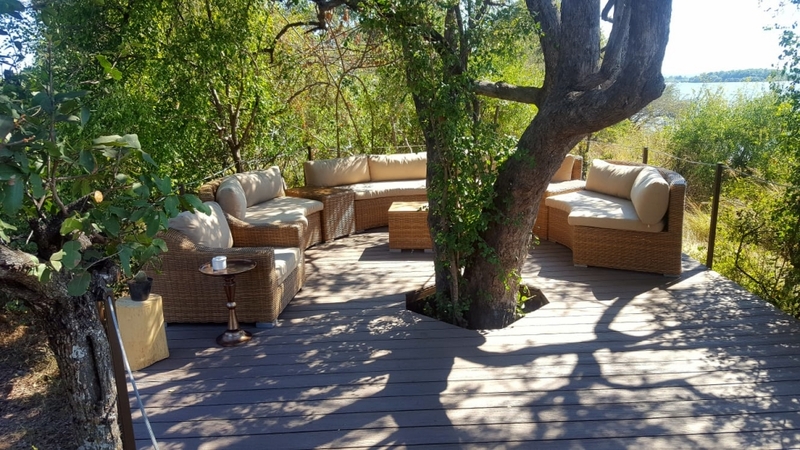 Another great thing about this lodge is that it is built directly on the banks of the Zambezi River. 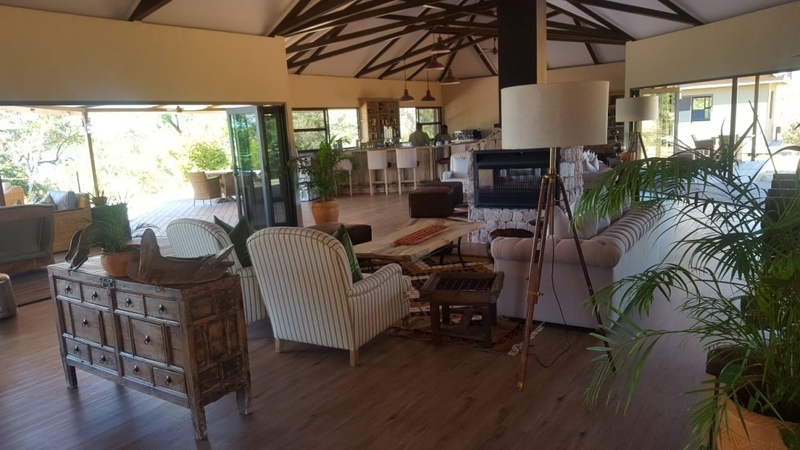 The name ’Old Drift’ comes from the fact that the exact spot where the lodge is located today, there was a trade area in the bygone era, at a time when the river wasn’t so wide. 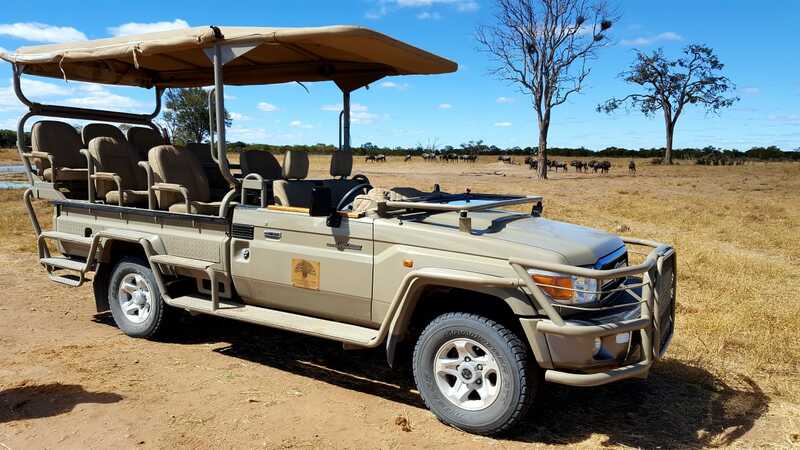 Activities include nature walks, boat cruises, fishing and game drives. 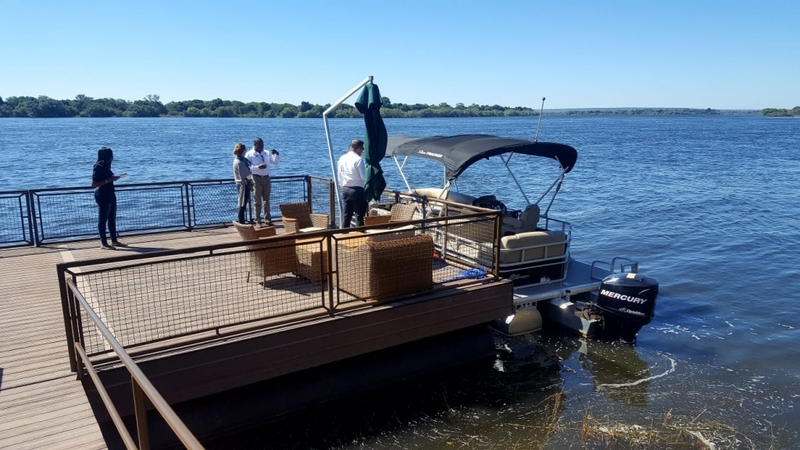 The lodge has 2 luxurious boats (that take 8 guests each), which are used for the return transfers to and from the Victoria Falls Jetty as well as the boat activities. 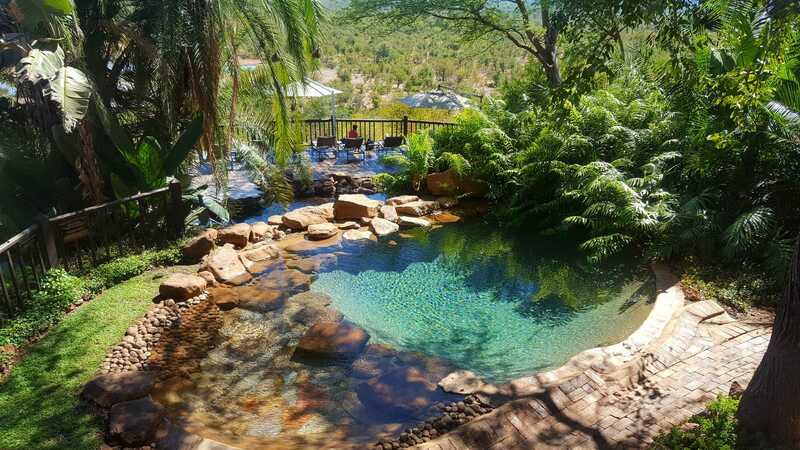 Soon to be built and opened in the near future is a gym and spa area, overlooking a small waterhole. 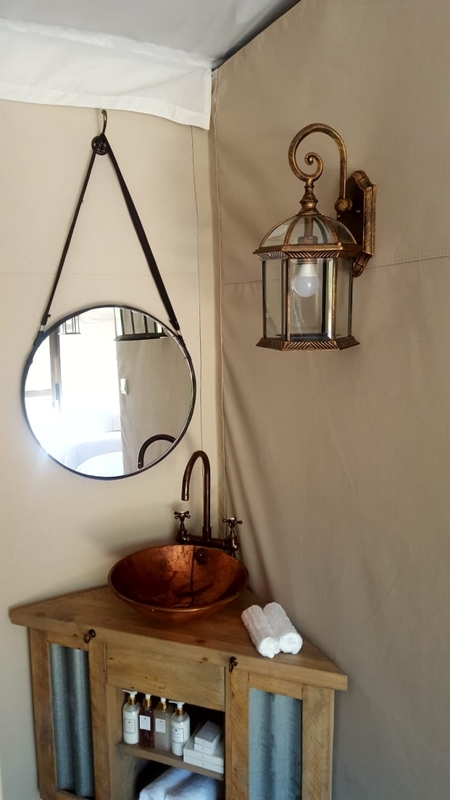 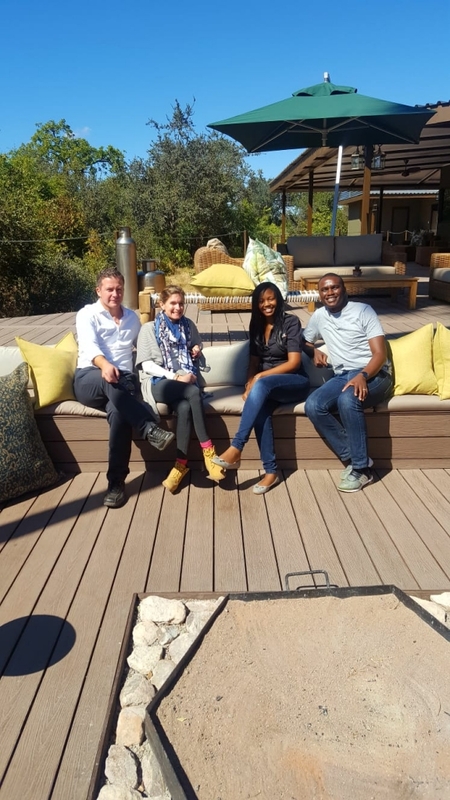 We look forward to sending our guests there, so they can experience pure luxury in the African Bush! 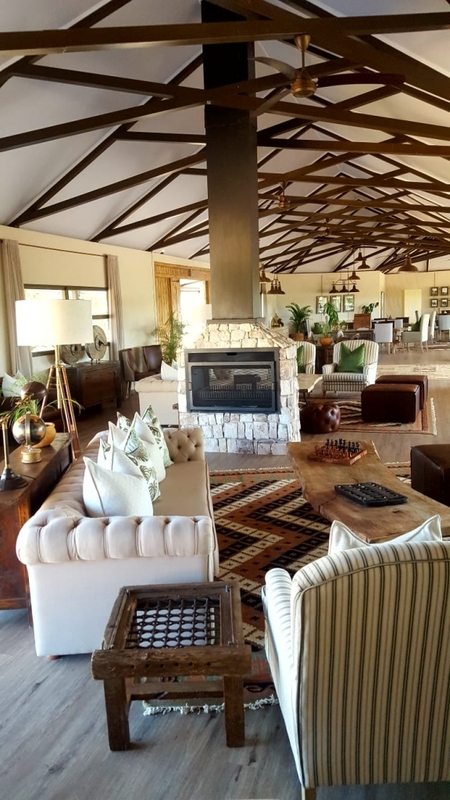 Read part 3 of this blog post series to learn about the next Victoria Falls recommendation; the Victoria Falls Safari Lodge – Suites & Club!